Paying for online shopping purchases are becoming easier and easier and that is the case if you are going to shop in the Philippines online shopping mall Lazada PH The introduction of alternative payment methods are definitely a blessing because now ordinary people who don’t have access to credit cards can take part in and enjoy the awesome benefits that online shopping could bring. That move is also beneficial for online retail companies because it allows them to capture a broader market base for the products that they are selling online and they are succeeding as evidenced by the success and profitability of thriving online shopping websites like Lazada Philippines. I remember that it was not like that before during the early days of online shopping sometime around 10 years ago where the only mode of payment available for online shopping patrons is through the use of credit cards. Credit cards are good, there’s really nothing bad about the ubiquitous plastic, and in fact it is very beneficial and convenient because it allows one to literally go around a city and buy stuff cash-less. This is proven useful because it is safer to go around cash-less especially if you are traveling. The only drawback for most people is acquiring one. Getting a credit card is not easy as it looks while it is true that some people readily gets pre-approved credit cards through the mail, some people simply does not get any and that is because credit card acquisition requires some sort of credit history and visibility on the system. Before one can get approved for a credit card he or she has to prove that he is capable of making at least the monthly minimum payment on the billing statement and not all people have the means to prove that especially in a developing country where unemployment is high. I personally have a credit card but I am not particularly that amenable in using it for online purchases due to security reasons but don’t get me wrong, I have tried it once when I purchased some items from Lazada Online Shop and I could say that they are the safest online shopping website there is. It’s just that I prefer paying cash because it is so simple, straightforward and stress-free. There’s no need to go through some verification or anything of that sort. The transaction ends once you hand over the money to the delivery guy or to the seller and that is what I like. That is why I have been using the company’s cash on delivery service extensively. It has worked for me and is still working for me now. I never ran into problems when I am using this very convenient payment method. Another payment method that they offer is Dragon Pay. Dragon Pay is a local online payment processing company that Lazada Ph is partnered with. I have also tried using this method and I have nothing but positive comments about its effectiveness and ease of use. It is similar to the payment services offered in convenience stores. 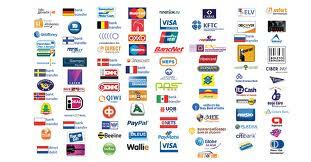 The company is definitely worth checking out and they got all the payment methods that will suit your needs.